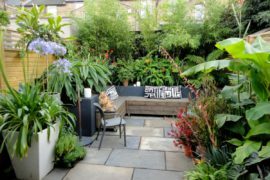 During those scorching hot summer days, it can be quite a challenge to keep cool outside before deciding it’s time to head back indoors where it’s air conditioned. 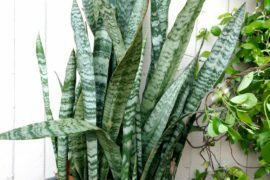 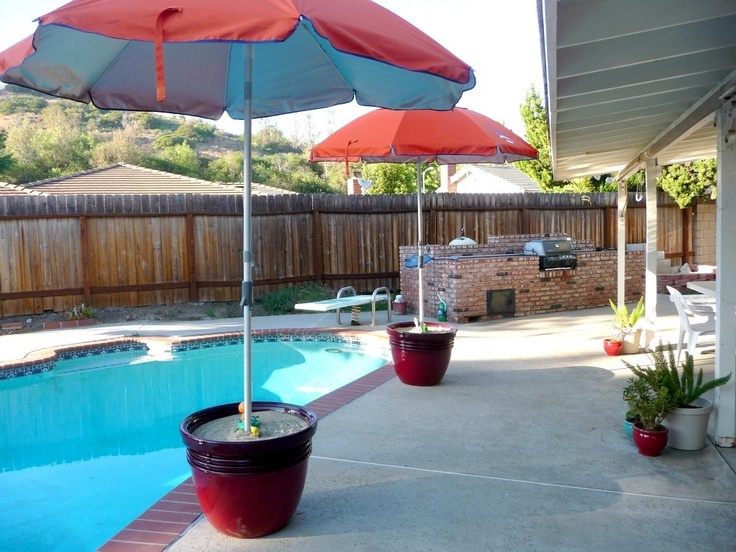 Your yard might be equipped with a patio set, a pool, or a beautiful garden, but with little shade during the hottest days, staying out there for a long period of time can certainly get pretty uncomfortable. 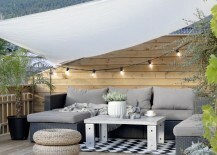 Large trees, gazebos, and decks with built-in coverings are great for adding more shade, but they’re not exactly the easiest or most affordable things to set up quickly. 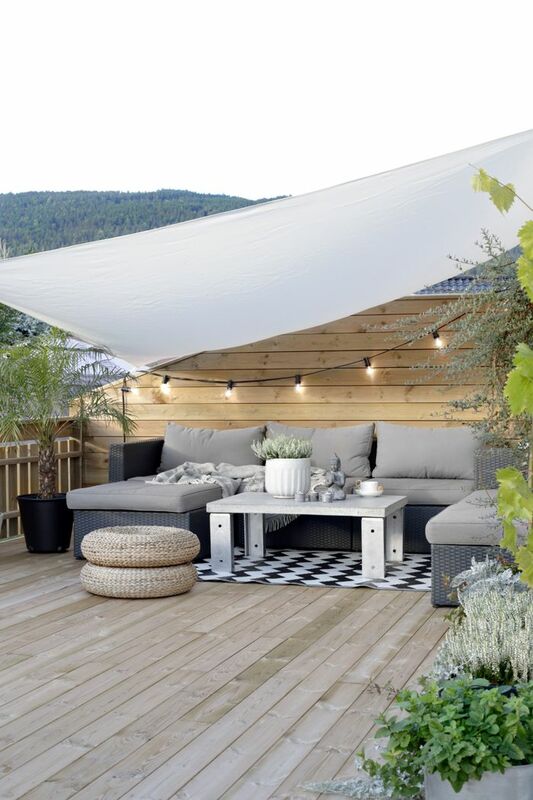 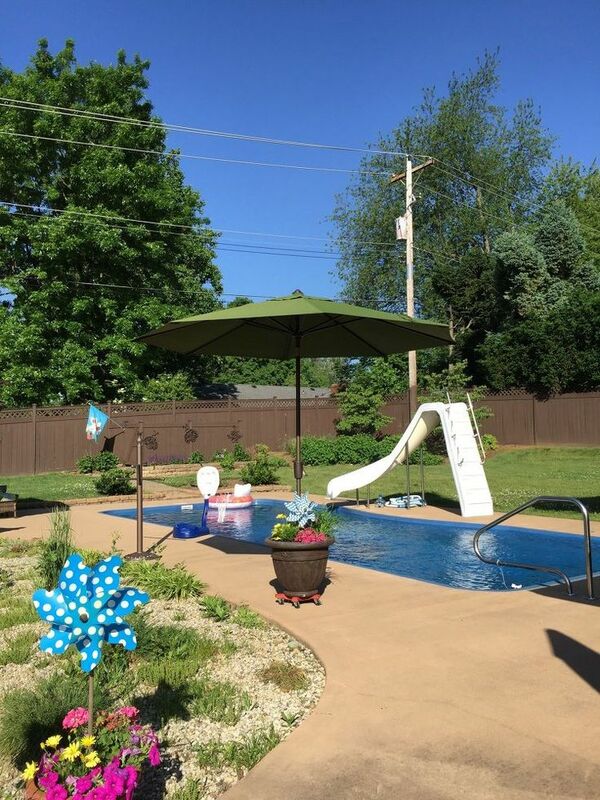 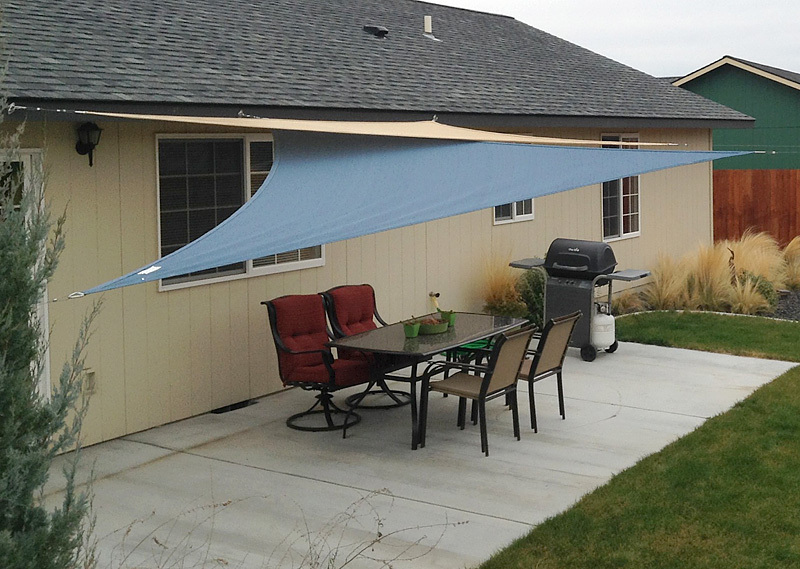 If you’re looking for a more temporary solution for shading a specific area of your yard that doesn’t break the bank or create an eyesore, take a look at some of these great DIY canopy ideas you can set up in a snap. 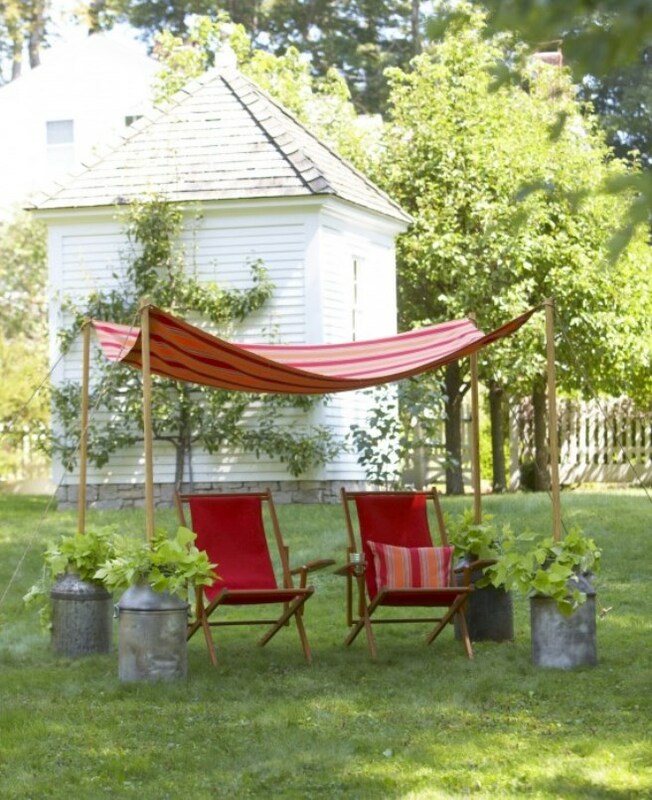 You might have everything you need already lying around the house for setting up a quick canopy. 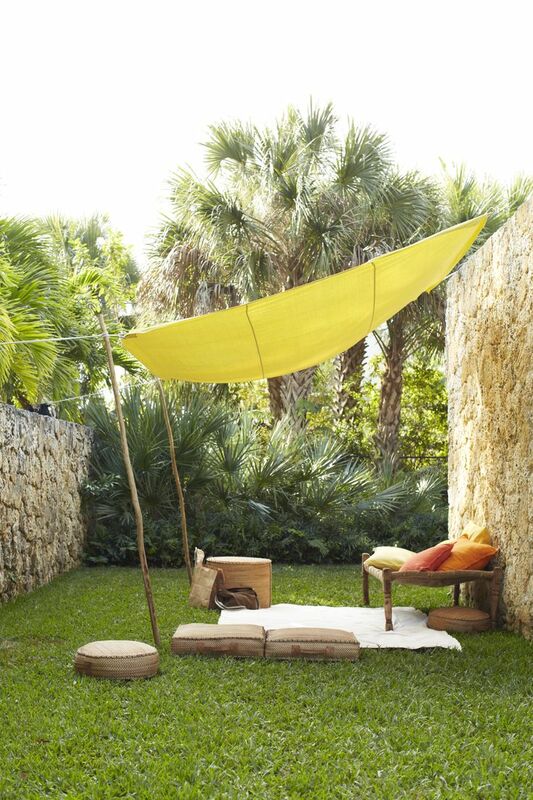 All you really need is a piece of fabric that’s big enough to provide some shade, a few sticks or poles, something to act as the base, and maybe a few tools and extra supplies like string or rope. 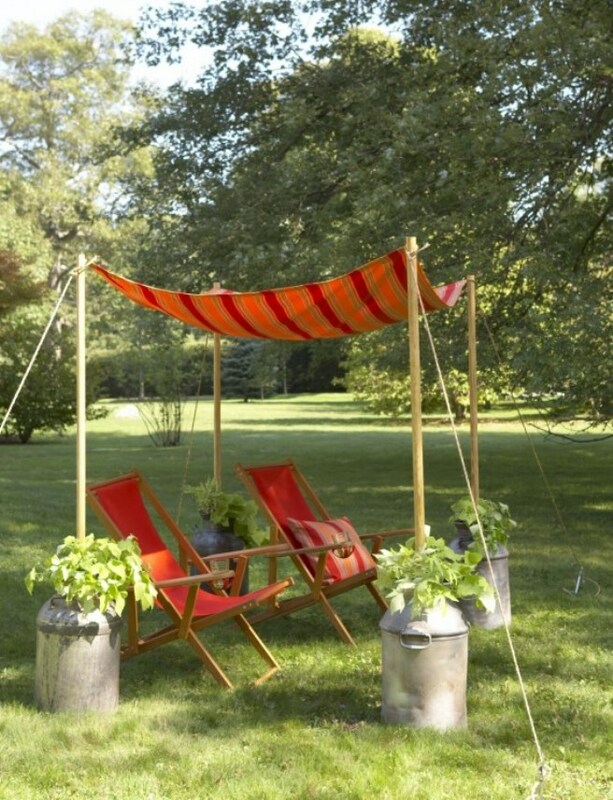 This lovely canopy idea from Bright Bold Beautiful shows you how to make one using four vintage milk jugs and a few other easy things you can get your hands on. 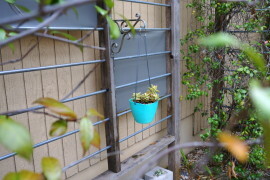 Here’s another interesting project that involves installing pipes to hold up some reed fencing and sheets (or a dropcloth) as curtains. 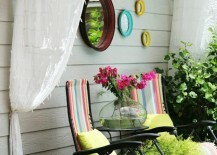 You can see exactly how to do it on Curious Details. 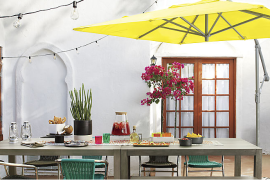 Maybe you already have an umbrella that came with your patio set, but don’t let that stop you from using more umbrellas to create extra shade! 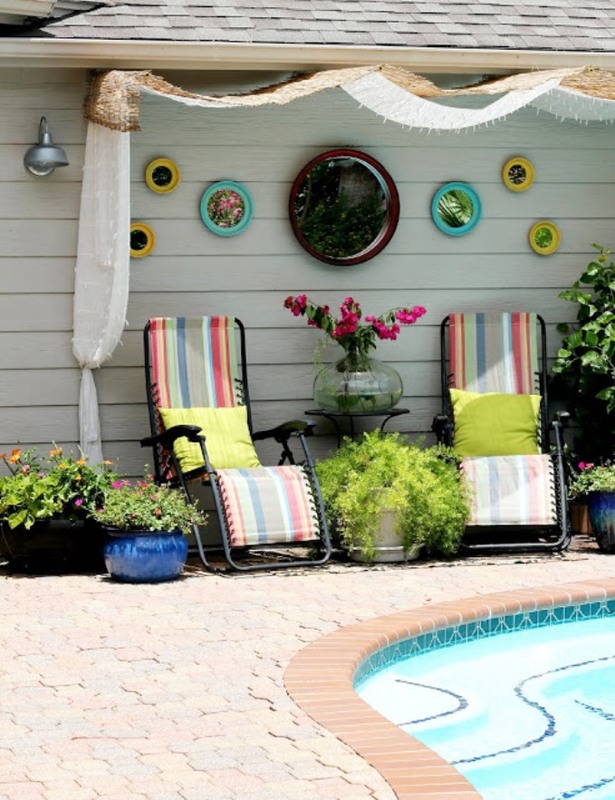 The following projects are especially useful around the pool. 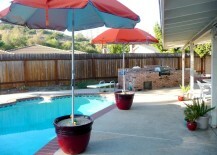 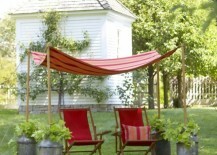 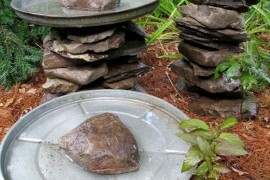 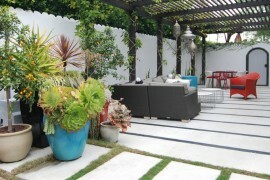 Check out these two ideas from The Red Gingham and Home Talk that use planters to hold up a few umbrellas. 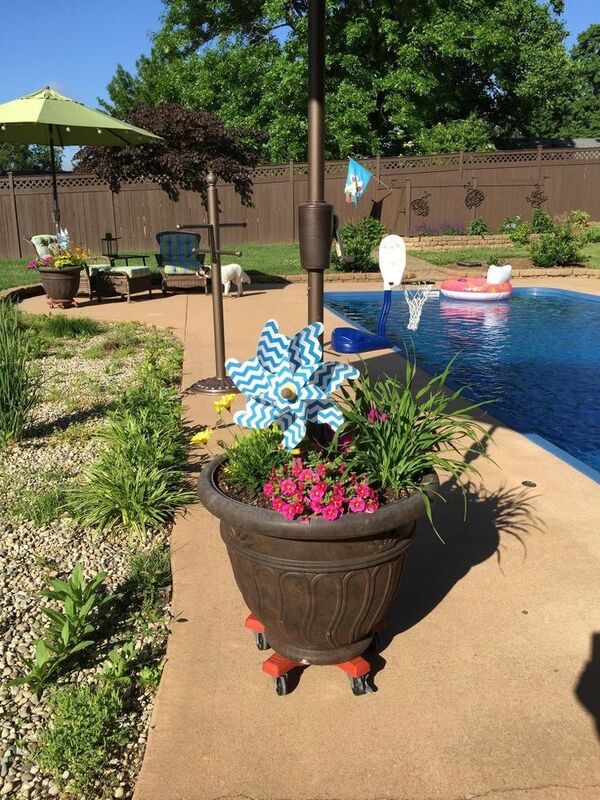 This particular planter has wheels, so you can move the shade around as the sun moves! 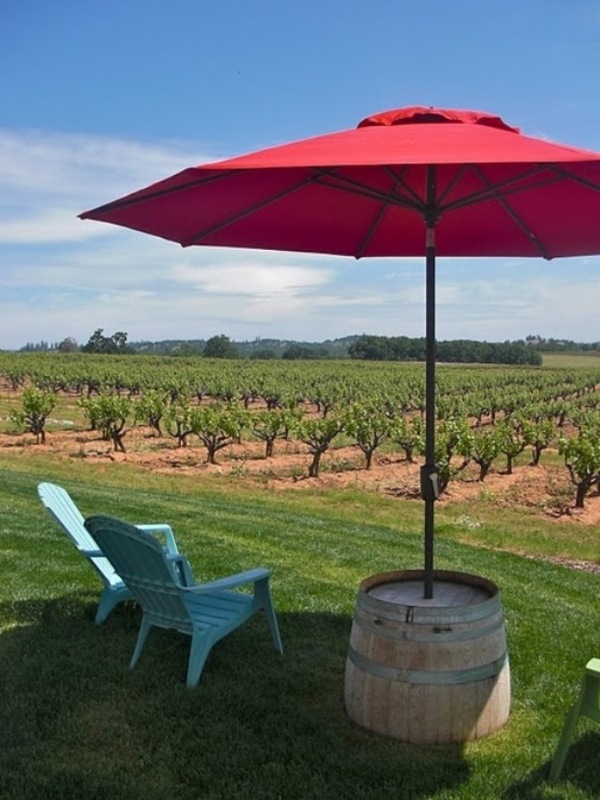 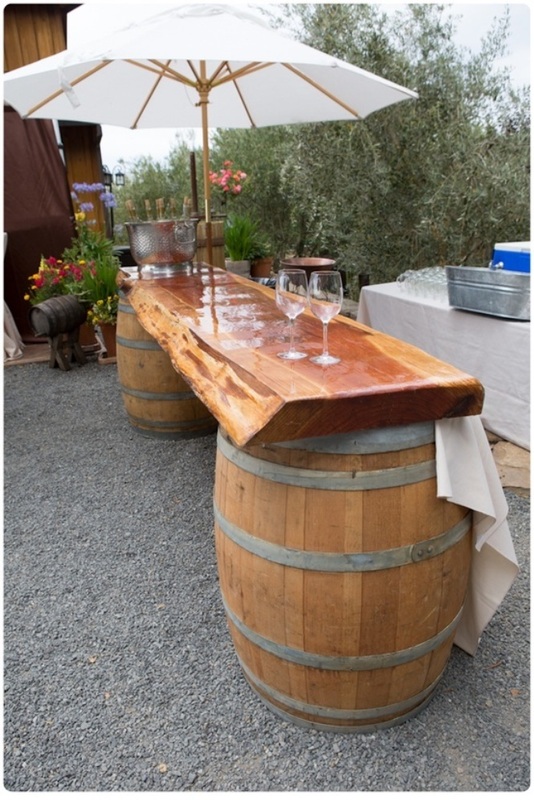 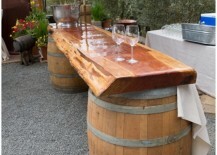 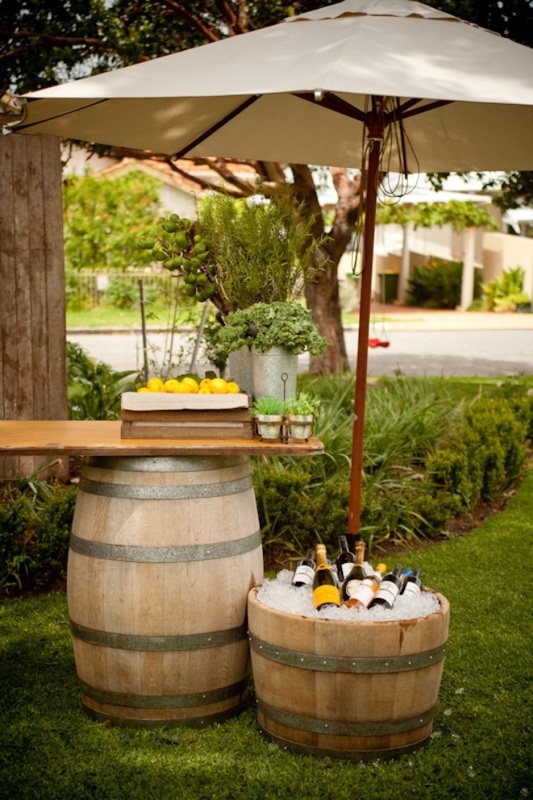 Planters are one great idea you can use to hold up large umbrellas, but barrels are another solution to consider. 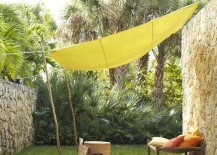 They’re big, sturdy, and rustic — making them a perfect choice for adding some shade with an umbrella. 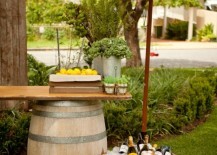 This one originally from the French Inspired Room has the right idea, and you can even take it a step further by integrating it with your entertainment area — like this one from Hire Society and another from Encore Events Rentals. 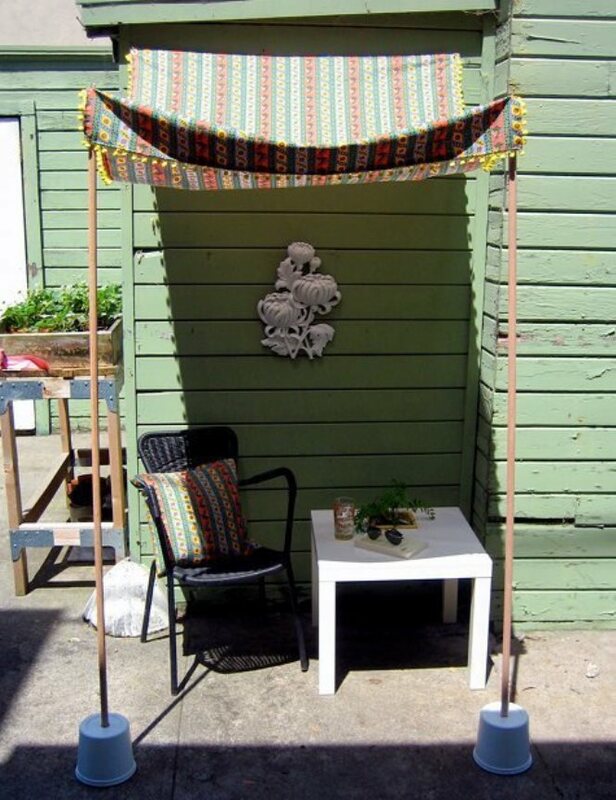 Shade sails are popular for adding more shade to any spot, and they’re a good solution if you’re not in the mood for a real crafty DIY project like some of the ones presented above. 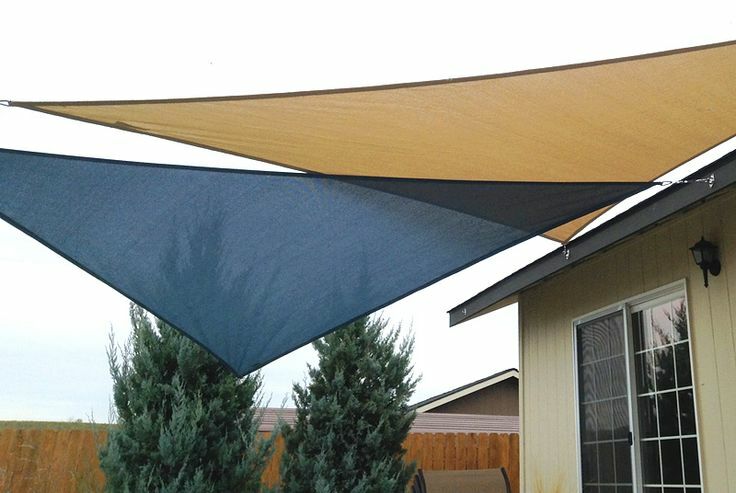 You can get shade sails from Amazon or presumably any local outdoor/garden supply store. 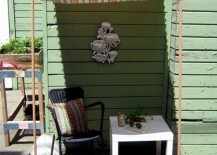 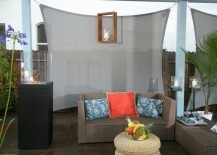 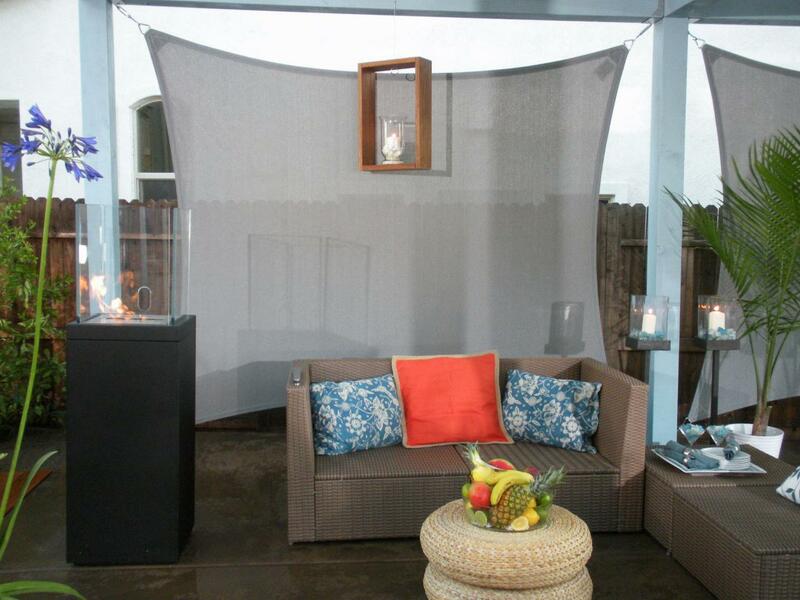 This example from The Garden Glove shows how you can swap out a patio umbrella for shade sails instead, while this one from DIY Network shows how you can use a shade sail to create a vertical wall instead of an overhead shaded area. 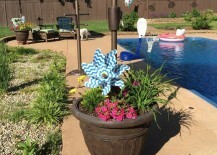 As long as you can attach them to something, they work great! 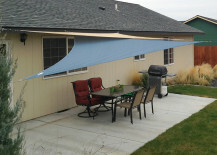 One last example from Stylizmo appears to recreate the same effect of a shade sail, but uses a larger white sheet in its place. 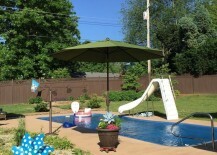 Still looks fantastic! 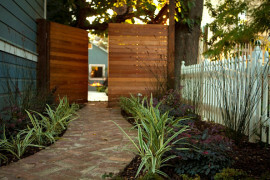 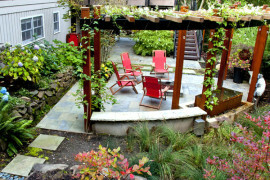 How do you add more shade to your yard? 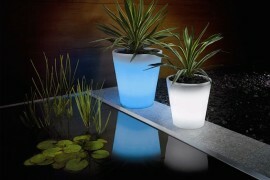 Which one of these would you be most interested in trying? 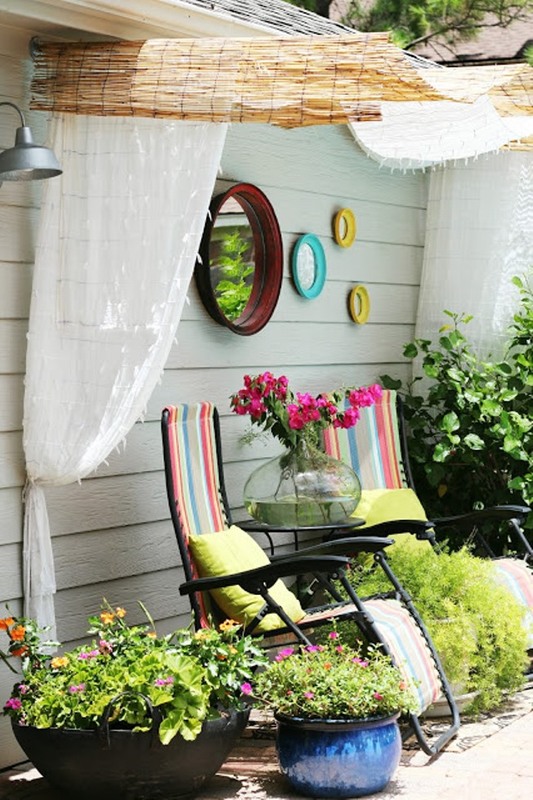 Let us know by leaving a comment.